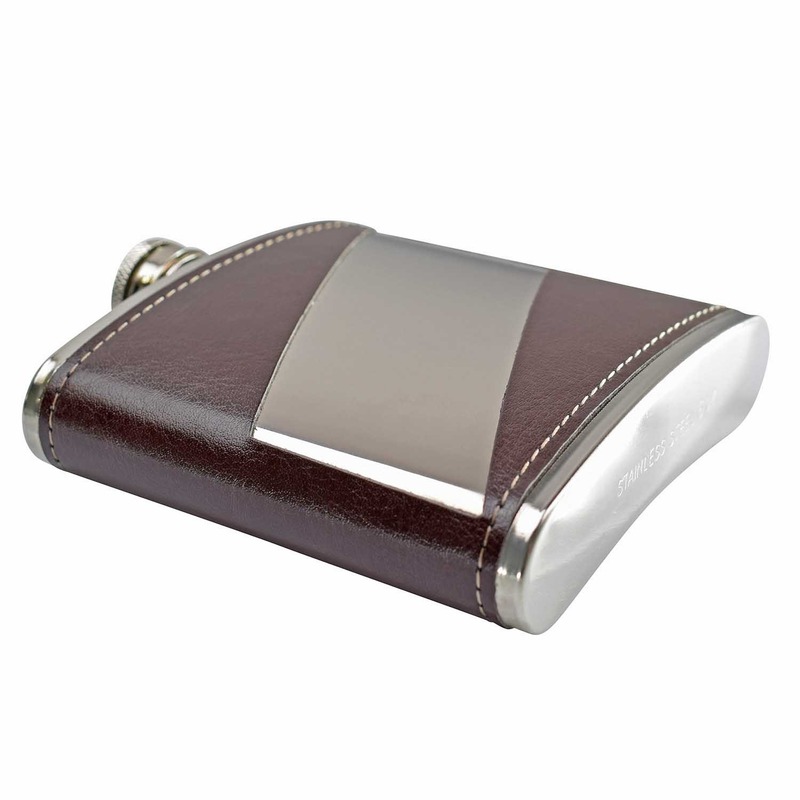 A 6oz flask in PU leather with stripe which is perfect for engraving. 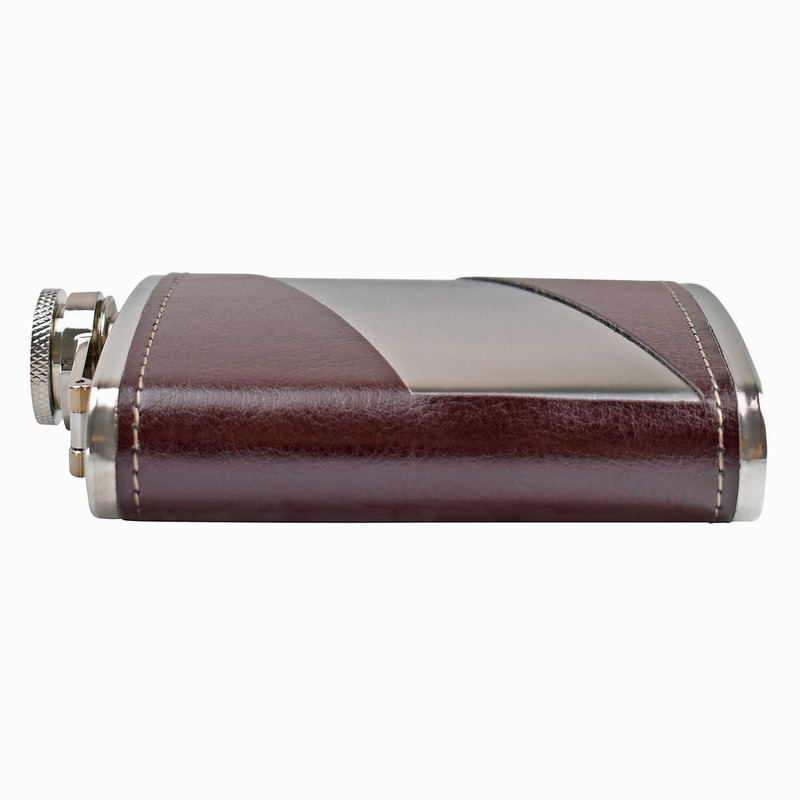 -Stainless Steel with a stripe cut out brown PU leather sleeve. 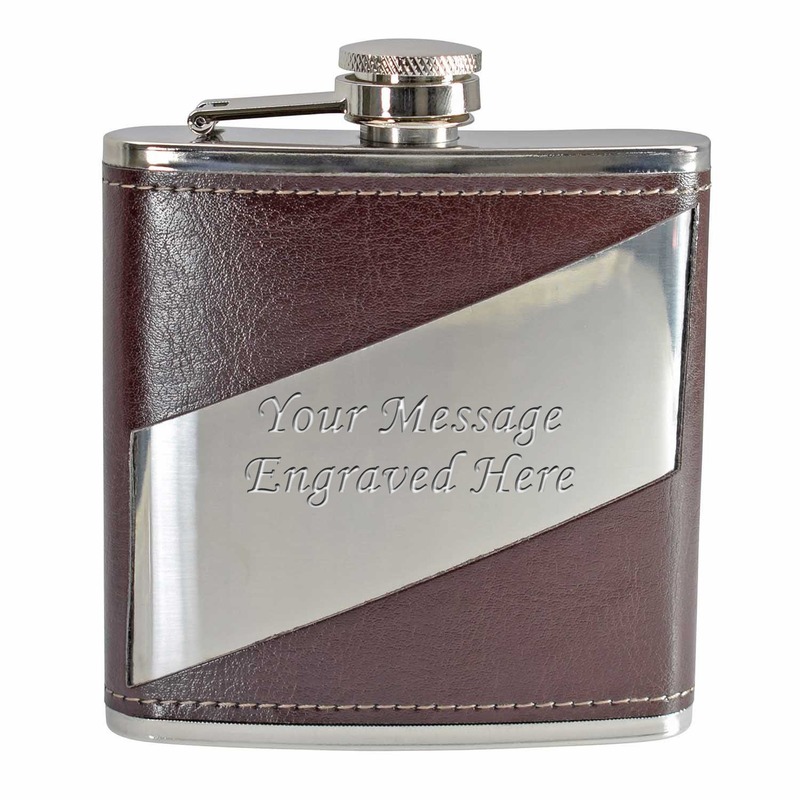 On this flask we would advise 3 lines of 25 characters, including spaces. 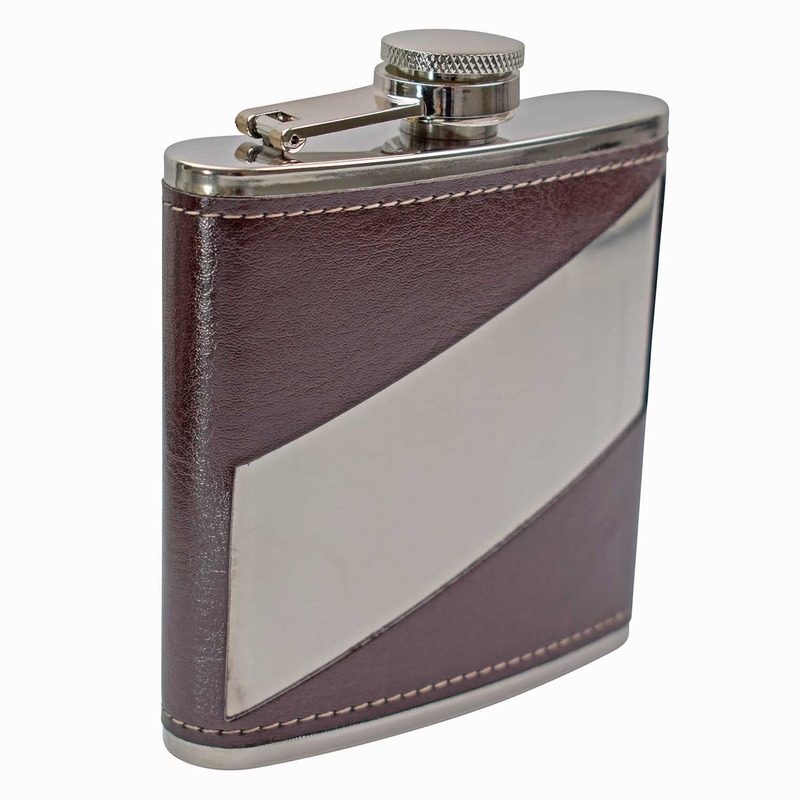 Anymore and the text would be rather small.